This article was written by Elise Davies, published on 29th January 2015 and has been read 4535 times. Elise Davies studies French and Spanish at Bangor University. She spent the first semester of her year abroad working as a receptionist and waitress in a youth hostel in Grenoble and is now in Seville, where she is working as an English teacher in an adult language school. Here are her thoughts on why you should do a work placement abroad and what to watch out for! Work placements are often considered the unpopular or difficult option for Modern Languages students preparing for their year abroad. In fact, I felt rather hesitant about them myself when I was looking at the options available. However, now that I have done one and am currently doing another, I would like to share with you the reasons I chose to work rather than study, and why I do not regret my decision. I will be honest and tell you that work placements are not always as glamorous as they would seem. Walking around in a pencil skirt and high heels is certainly not the norm. I would say I ended up mopping toilet floors and standing up to angry customers more often than I wore elegant clothes. However, I have found that working abroad has given me many skills that I would previously have considered to be beyond my capabilities. I usually realise how much I am gaining from my work at the times when I feel like curling up into a ball and crying or even something as extreme as packing my bags in the middle of the night and running away back home to the UK. But I have not ever let these feelings get the better of me, as every time I sit back and think about what I am achieving and experiencing each day, I realise that, although it is a huge challenge and can be rather daunting at times, it is shaping me as a person, developing my language skills immensely, and preparing me for the big wide world after university. 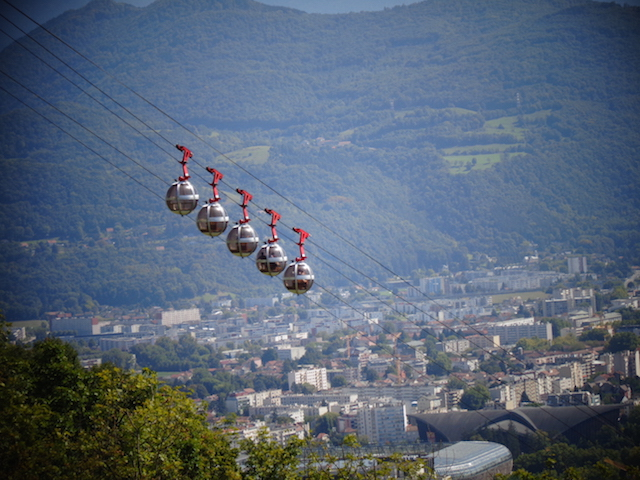 When I first arrived in the French City of Grenoble in September, I was certainly not quite prepared for the adventures that I would be encountering throughout my five months there. In fact, I was about to step into the real world from the sheltered life of school and university, which was all I had ever known. 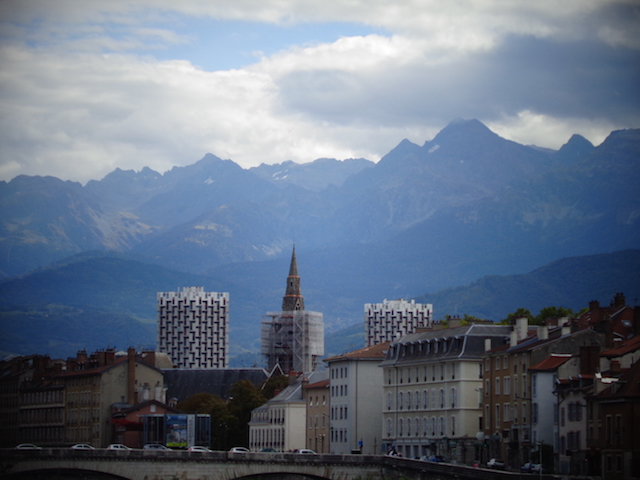 There were many times in Grenoble when I felt like I could not cope and would not manage to complete my work at the youth hostel (usually after difficult shifts during which I had experienced clients being unpleasant about my French or blaming me for any dissatisfaction they had about their stay). This was extremely difficult for me as I sometimes would be the only member of staff working and therefore had nobody to turn to for help. In fact, the day when the fire alarm went off and I was working alone is a very good example of a time when I was completely out of my comfort zone as I had to remain calm and evacuate all of the clients out of the building. However, I am pleased to tell you that it was a false alarm and fortunately nobody was hurt. Although these experiences seemed horrendous at the time and completely beyond my capabilities, I now feel that I achieved something incredible. This is because I have proved to myself that I am able to work alone for approximately eight and a half hours at a time in a foreign youth hostel and keep everything under control whilst speaking my second language. It may seem incredible to you that such frightening and undermining experiences can actually be positive but I honestly feel that I am now ready to face many difficult situations in the work place as I know that I can stand up for myself and my colleagues when dealing with clients of all ages and that I can maintain the confidence to speak a language despite the occasional unpleasant comments and sniggers. I would also like to point out that these experiences were very much diluted by many positive experiences and shifts during which I gained confidence as a result of praise from customers about the challenges I was taking on. It was also at times like these when I would reflect on my year abroad and feel amazed at how far I had come. I am now in the Spanish city of Seville working as an English language teacher in an academy for adults who need to learn English for business purposes. This has so far not been the smoothest period of my life as I arrived in Spain without accommodation organised and have been living in a hostel for three weeks. Even though this has been a scary and stressful experience, it has actually enabled me to get to know the city better as I have been eating the local tapas dishes and meeting lots of people who are either in my position or who work in the local cafes and restaurants. I have also learnt an awful lot of Spanish from getting myself around and about alone and dealing with unexpected situations. Throughout the past three weeks, I have really looked back on my time in France and realised just how much this has given me the confidence to move to a foreign country without a permanent place to live and to be happy to spend a lot of time alone which I have had to do in Spain so far. Overall, I think that doing a work placement on your year abroad is an exciting and challenging experience during which you learn more new skills than you can imagine. It is certainly not the typical Erasmus experience as you always have to be conscious of the fact that people are actually relying on you to do a job and turn up promptly at work at all times of the day and night. Therefore, I think that it is a fantastic option as there is no better preparation for the working world than diving into a full time job on your year abroad. I have had some very difficult times but I always see later on that these are the experiences that are building me as a person and making me much more responsible and reliable. I have also had the chance to make friends for life with many native speakers of all ages as I have had the advantage of working very closely with them and therefore developing friendships at the same time as learning the language. I hope that this article has helped anybody who is interested in this option for the future and I hope that you find something that interests you. In my opinion, any work placement will give you a very interesting and valuable experience as you are completely surrounded by the culture and the language at all times and you learn many important skills such as punctuality, adaptability and team work. Most importantly, you gain an immense amount of maturity and authority which is very useful for any career or situation that you are in in the future. I certainly do not regret choosing to work abroad and I hope that more people will start to see beyond the interviews and job hunting and have as good an experience as I have had. It may be something that many people see as the unpopular option but I believe that it is a gateway to learning the harsh realities of the working world at the same time as getting the greatest possible exposure to a foreign language and culture. It is a constant adventure and gives you many things to talk about when asked about a time when you felt out of your comfort zone in a job interview.